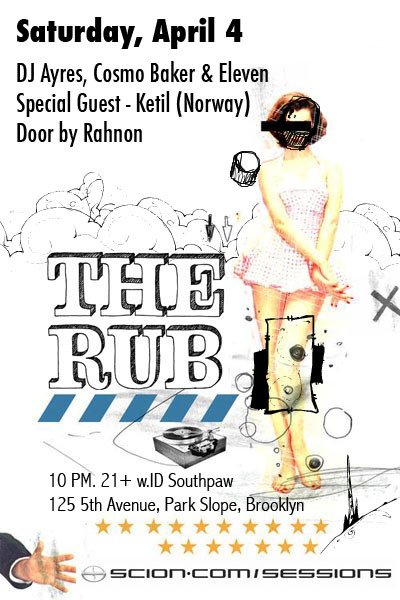 This Saturday at 3PM is another urban pillowfight, this time in NYC. Check the official website for details/rules etc. 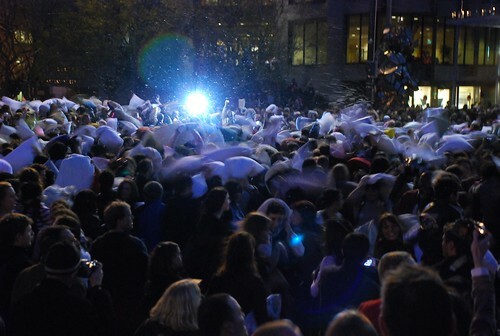 This event is taking place as part of World Pillow Fight Day. It looks like this will take place on Wall St… I guess that’s supposed to be some sort of statement on the economy or something. Once you clean all the feathers off yourself, get your arse over to THE RUB!!! While you’re at it, check out The Rub’s ridonkulous page of mp3’s– remixes and mashups ripe for the picking! Don’t miss this one! The Great SF Valentine’s Day Pillow Fight is this Saturday! What better way to spend Valentine’s Day than you and your honey smacking each other with pillows and goose down? For more info check out the somewhat official looking website.